In the case of the "Outer School" of boxing, the emphasis is on leaping, bouncing, punching and the exertion of force, and so one often gasps for breath after practising. 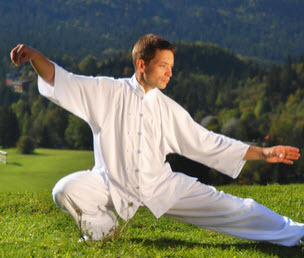 But in taijiquan, the movement is blended with tranquility, and while performing the movements, one maintains tranquility of mind. In practising the "frame", the slower the movement the better the results. this is because when the movements are slow, one can take deep breath and sink it to the dan tian. It has a soothing effect on the body and the mind. 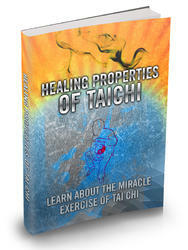 Learners of taijiquan will get a better understanding of all this through careful study and persistant practice.